According to some interesting stats_ the sales of Samsung in 2018 were way better than iPhone as Samsung owners were more in the stats. According to Counterpoint Research data, 37% of OnePlus 6T buyers came from a Samsung phone, many of them used either a Samsung J2 Prime or the aforementioned Galaxy S7. While 51% of Pixel 3 buyers in the Stats were owners of a Galaxy Smartphone, however 31% of them owned a three year old Galaxy S7. Also worth noting is that 80% of the Pixel 3's sales came from owners of Android devices and that might be seen as a disappointment for a phone aimed at converting iOS users. Google Pixel 3 accounted for 7.3% of all Verizon sales during the final quarter of 2018 while the OnePlus 6T captured 2.4% of T-Mobile's total sales. 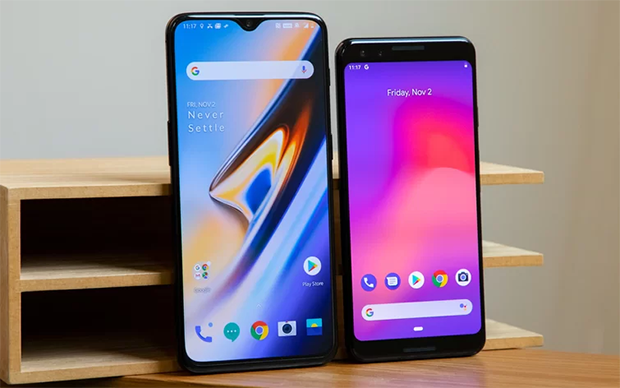 However discounts on Samsung and Apple smart phones caused the sales of Oneplus 6T to lower on the stats.